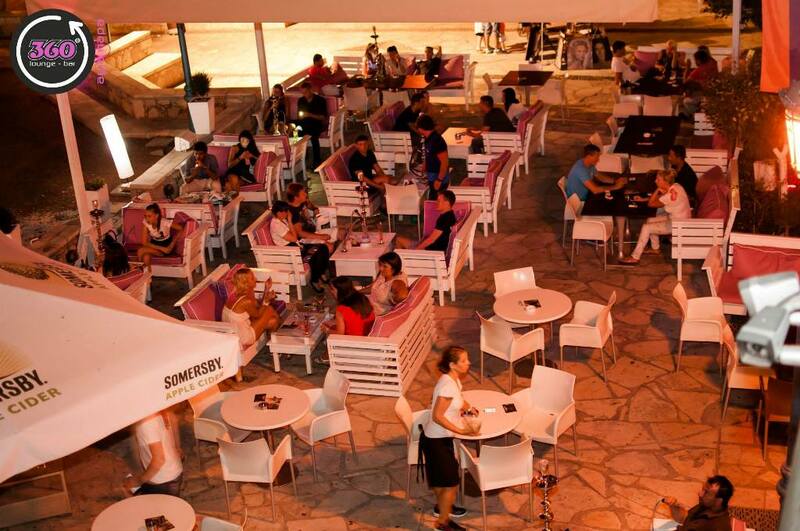 360 Lounge Bar has a great location in the heart of Ayia Napa. 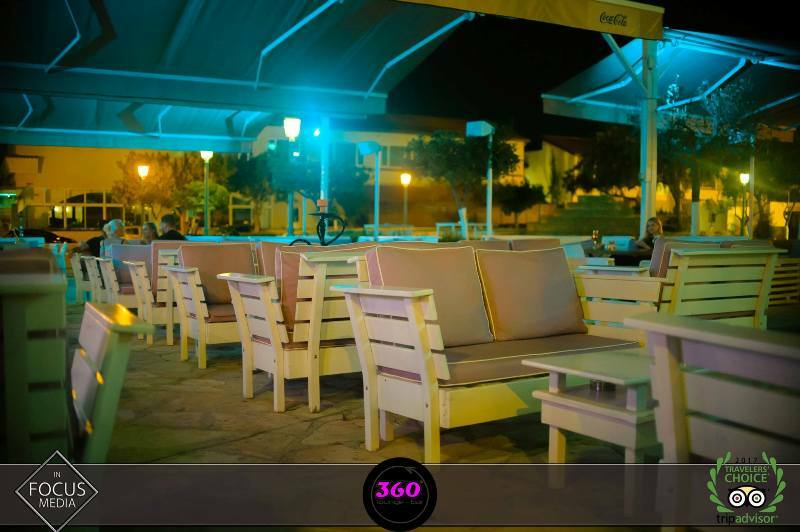 Situated right next to the ancient monastery and with it's tables and chairs spreading out into the square, 360 lounge is a comfortable place to stop and relax both day and at night with a cocktail. Shisha is also available. 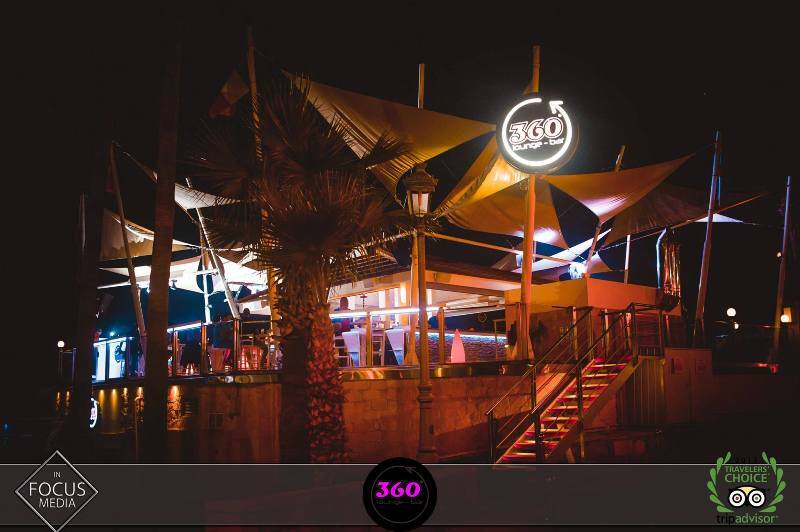 At weekends 360 lounge often has guest DJs and performers and often acts as a pre-club bar for Soho Club. 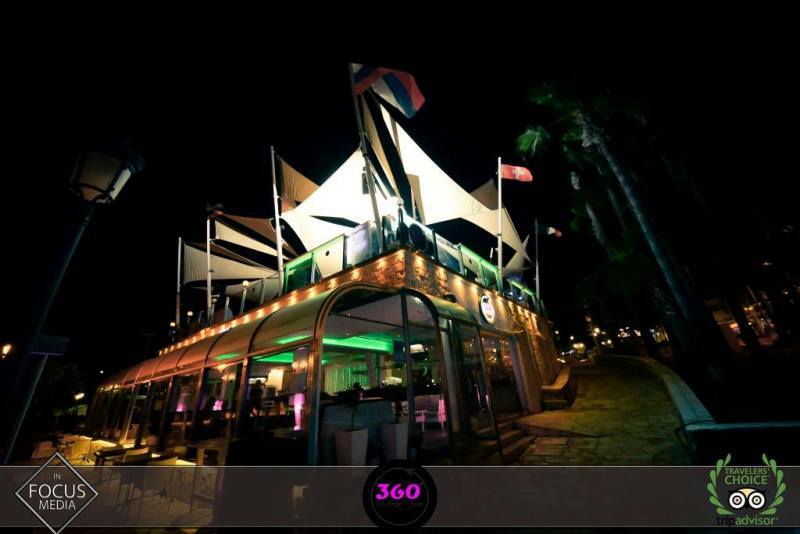 The closest hotels to 360 Lounge bar are Napa Plaza, Eligonia Apartments and Cornelia Hotel. Other bars in the same area as 360 Lounge are Hard Rock Cafe and Lobby Bar.